Christmas cakes are now available to order for the 2013 season. 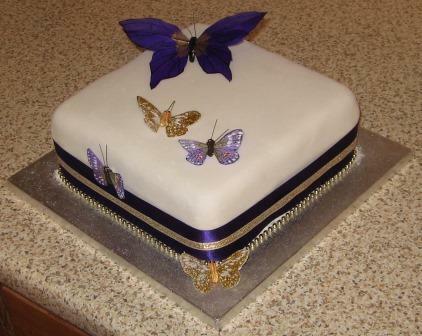 All cakes are individually made to order using local ingredients wherever possible. Various sizes and shapes are available - prices on request. Additionally take a look at the Simply Cakes’ full list of cakes and biscuits, which are available to order all the year round. Rafters Electrical Services can supply all your electrical needs – domestic and commercial. This includes extra sockets, full and part re-wires, new consumer units, inspection and testing, new builds, maintenance work, contract work, PAT testing, external lighting and landlords reports. Twenty-four hour call-out is available. Visit the website at Rafters Electrical Services. Rafters of Driffield has been established since 1997. Based in the heart of this bustling East Yorkshire market town, Rafters has a wonderful array of locally-sourced produce. Initially the company began trading as a traditional greengrocer but over the years it has built up relationships with other producers of dairy products, preserves, eggs, cakes and other provisions. Having not lost the competitiveness and cut and thrust of a typical greengrocer it has to be said that Rafters offers extremely good value on all the products it sells. 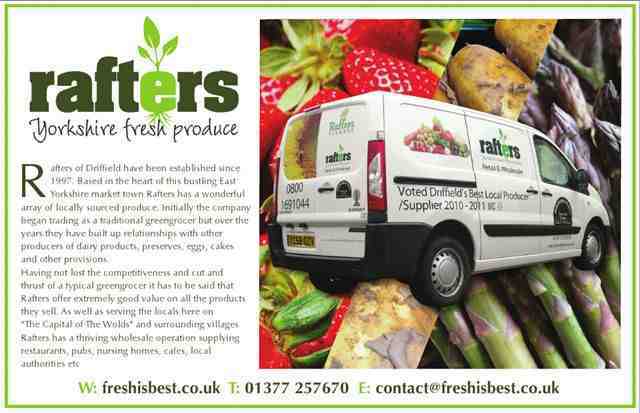 For more details contact Rafters on contact@freshisbest.co.uk or call (01377) 257670. Rafters is owned by a Wansford family. Ovenmaster runs a quick and economical no-mess, no-stress oven cleaning services with All We Leave Behind Is The Shine as its motto. Ovenmaster cleans all types of ovens from the smallest domestic models right up to the largest double ranges and Agas. Ovenmaster is one of the longest-established oven cleaning firms in Yorkshire. Whatever the size or condition of your cooker – Ovenmaster can tackle it for you. Ovenmaster is based at 10 Nafferton Road, Wansford, Driffield, YO25 8NS, and can be contacted by telephone (01377) 240815, 0800 0190897 or via the Ovenmaster website. Ovenmaster can also be found on Facebook where there are updates and recipes from Ovenmaster's Steve Shipley.